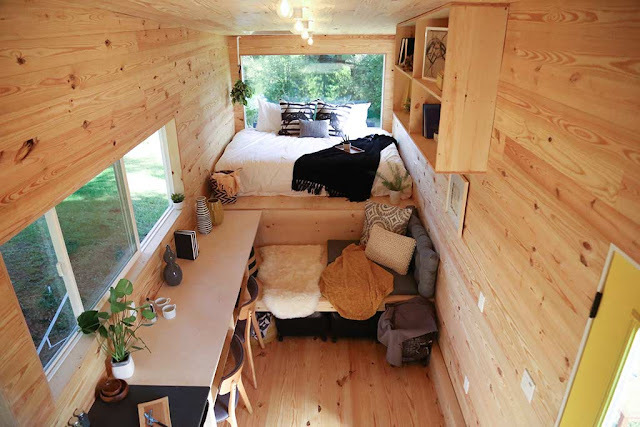 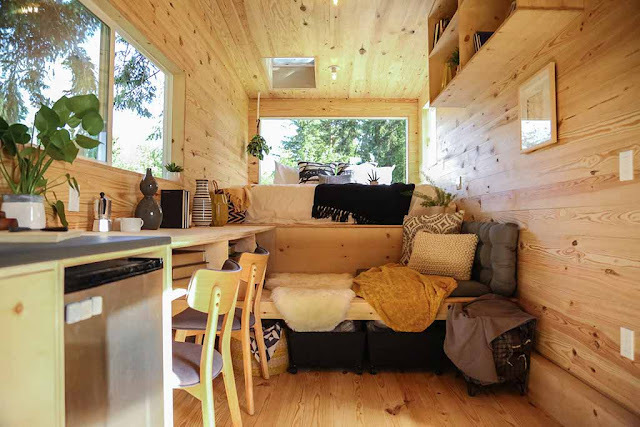 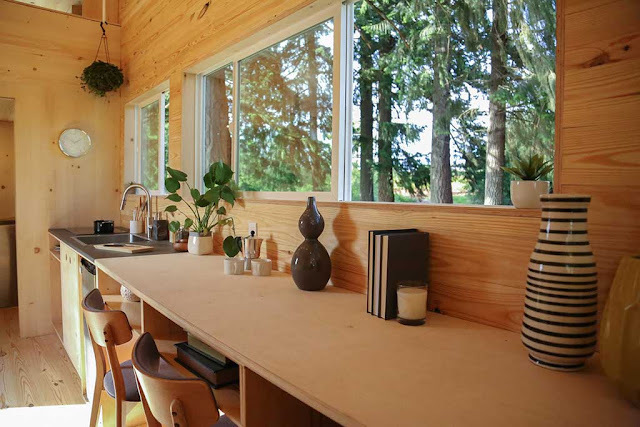 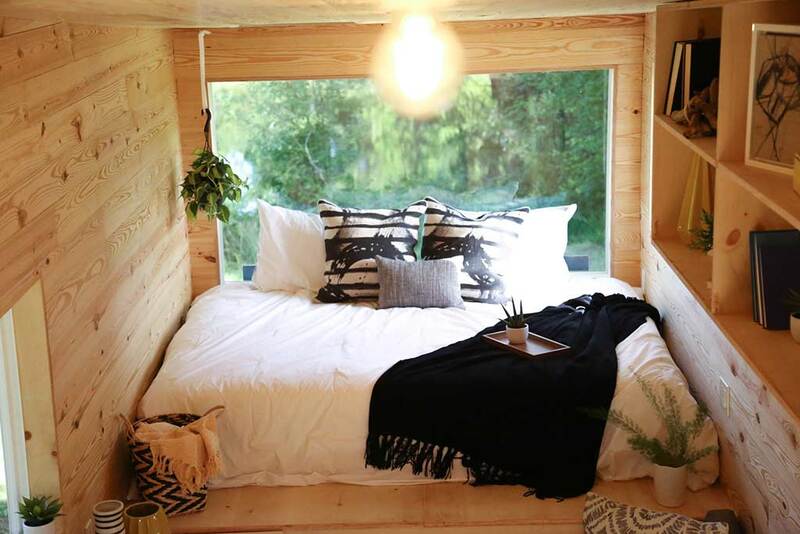 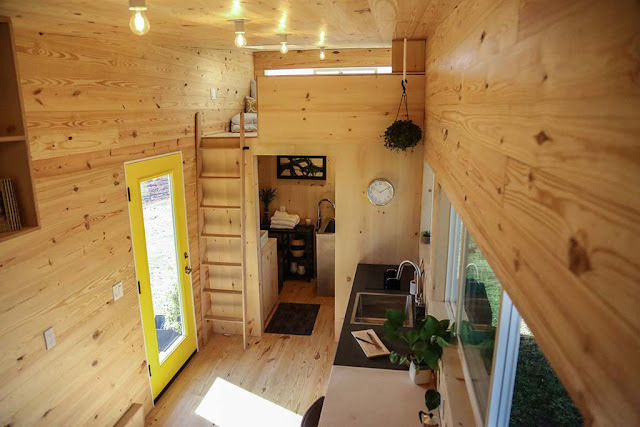 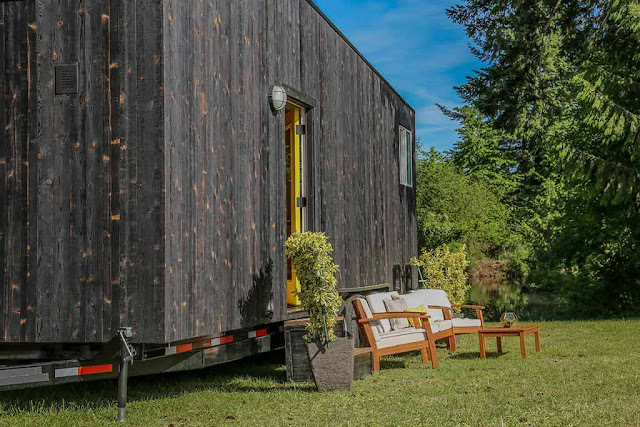 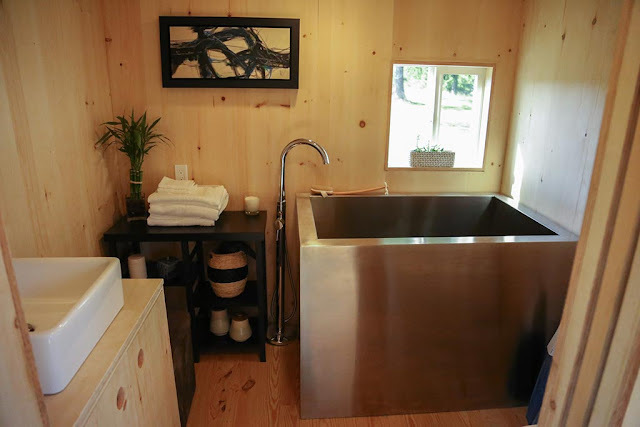 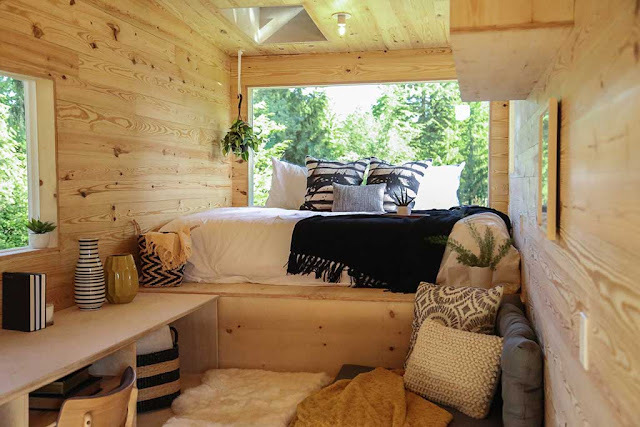 This one-of-a-kind tiny home was designed and built by Tiny Heirloom for a professor and his daughter. 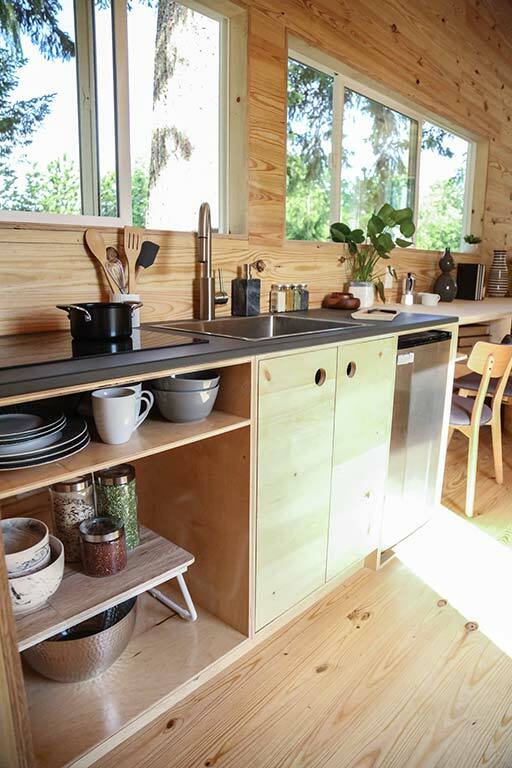 The clients wanted to downsize to a more minimal home and lifestyle, so the company worked to create a small space that maximized on storage. 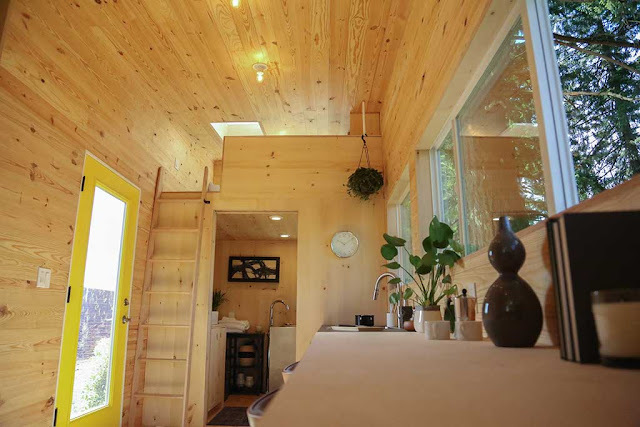 The home's interior features strategically-placed pops of color, an abundance of live plants, and a Japanese soaking tub. For more info and inquires, contact Tiny Heirloom here!